Legal problems involving the sale of goods typically involve weighing a variety of factors: the terms of the contract, the type of seller, and the nature and seriousness of the problem. Client bought a consumer good that is not functioning properly. Client bought a car from someone, and now someone else is claiming the car is theirs and the seller did not have the right to sell it. Client paid a deposit for goods, and the store went out of business without returning the deposit or providing the goods. Many common-law principles of contract (see the Contracts Overview) were developed in Britain during the 1800s. In some instances, those principles were codified into statute law by the British parliament. One important area of the common law of contract that was codified was the sale of goods law. BC’s present Sale of Goods Act was modelled after the British law. The Sale of Goods Act covers the sale of chattels, which are personal, moveable possessions. Amendments to the Act extended its coverage to some leases as well. (In a lease, the “lessor” is the person who leases the goods to the consumer; the consumer is known as the “lessee”.) Portions of the Sale of Goods Act cover sales or leases between retailers and consumers (for example, when a consumer buys a car from a dealership), and some portions cover sales or leases between consumers themselves (for example, when a consumer buys a car from another consumer who is not in the business of selling cars). Sale of goods contracts do not have to be in writing to be protected by the Sale of Goods Act. The Act deems that many rights are part of a sale of goods contract, regardless of what the parties have (or have not) agreed on. These are called “implied terms”. These terms cover the quality of the goods sold and the seller’s right to sell the goods. Regardless of whether anything is said when a sale is made, or even if, in some instances, the seller specifically says that the Sale of Goods Act does not apply to the transaction, it is likely that the Act does apply. The Sale of Goods Act gives consumers certain remedies if the seller breaches the rights given under the Act. The Act talks of rights that are “conditions” and rights that are “warranties”. In very general terms, conditions are seen as the most important basic rights of the contract, while warranties are seen as less important collateral rights. The distinction can be important for the type of remedy (see the section on Contract Remedies) available to the buyer. In general, breaches of conditions may allow consumers to get out of the transaction altogether (that is, return the goods and get their money back), while breaches of warranties usually allow consumers only to recover damages (that is, get some compensation for the defect in the goods). It is difficult to generalize about all the rights given by the Sale of Goods Act. Considerable case law has interpreted many sections of the Act and refined the meaning of those sections. The relevance of a section to a particular transaction often depends on the specific facts of the transaction. Also, there are differences in how or whether the Act’s protection applies to transactions. For example, some protections apply to both business-consumer transactions and consumer-consumer transactions, while other protections apply to only business-consumer transactions. The following is a brief summary of some of the more important consumer-related provisions of the Sale of Goods Act. These implied conditions are part of every consumer contract. Under section 16(a) of the Sale of Goods Act, an implied condition of the contract is that the seller (or lessor) has a right to sell the goods. Essentially, this means that the seller has title to the goods and has the right to sell them. If the seller (or lessor) does not have the right to sell the goods, and this is discovered within a reasonable time, the buyer is entitled to cancel the contract and have the full purchase price returned. This protection usually applies to consumer-consumer sales (or leases) for both new and used goods; this protection always applies to business-consumer sales (or leases) for both new and used goods (since, for retailers, this right cannot be waived; see section 20(3)). Under section 16(c) of the Sale of Goods Act, an implied condition of the contract is that the seller (or lessor) promises there are no charges or encumbrances on the goods by any third party. Examples of charges or encumbrances include repairers' liens and security agreements over the goods registered under the Personal Property Security Act. 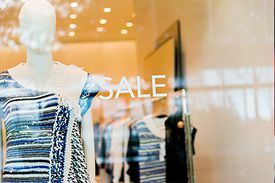 Again, this protection usually applies to consumer-consumer sales (or leases) for both new and used goods, and always applies to business-consumer sales (or leases) for both new and used goods (retail waivers being void under section 20(3)). Under section 18(c) of the Sale of Goods Act, an implied condition of the contract is that the goods will be durable for a reasonable period of time, considering both the normal use of the goods and all the surrounding circumstances of the sale or lease. This protection always applies to business-consumer sales (or leases) of new goods (retail waivers are void under section 20(2)). This protection will probably not apply to business-consumer sales (or leases) of used goods, since waivers are not void under the act in this case and the business may well have the consumer sign a waiver. This protection usually applies to consumer-consumer sales (or leases). The consumer tells the business the intended purpose for the goods. The consumer shows that they are relying on the seller’s skill or judgment. The seller sells the goods in the usual course of the seller’s business. There is considerable case law on the interpretation of when the three circumstances are present and what the standard is for reasonable fitness. This protection always applies to business-consumer sales and leases of new goods (retail waivers are void under section 20(2)). This protection probably does not apply to business-consumer sales or leases of used goods, since waivers are not void and the business may well ask the consumer to sign a waiver. This protection does not apply to consumer-consumer sales. The consumer buys the goods by description from the seller. The seller deals in goods of that description. The consumer inspects the goods and does not find a defect that they ought to have found in making that inspection. As with the implied condition of fitness for purpose, there is considerable case law on the interpretation of when the three circumstances are present and what the standard is for merchantable quality. This protection always applies to business-consumer sales and leases of new goods (retail waivers are void under section 20(2)). This protection probably does not apply to business-consumer sales or leases of used goods, since waivers are not void in this case and the business may well have the consumer sign a waiver. This protection does not apply to consumer-consumer sales. Obtain all the details of the transaction, including basic information about the seller, any documents relating to the sale, and any notes on conversations between the client and the seller throughout the transaction. You should also consider whether the seller has “policies” that deal with such matters as the return of goods, as with some department stores. Where there are registration requirements for the goods, such as cars, a search may be helpful. Where the problem involves matters of title claims to the goods, search the Personal Property Registry. take legal action, depending on the other factors. There are many ways to resolve disputes if the client is not satisfied with goods or services bought. The Complaint Roadmap, offered by the federal government’s Office of Consumer Affairs, provides a guide for making a complaint to a business. The Canadian Consumer Handbook, also from the Office of Consumer Affairs, offers advice for making an effective complaint. Consider Sale of Goods Act rights in the context of the whole of the consumer contract. It is important to know both the terms of the agreement that are implied by law, and also the express terms (that is, the specific terms agreed to by the parties, such as a consumer’s right to return goods), which may go beyond the rights under the Sale of Goods Act. Consider also the type of seller the consumer is dealing with. As described above, some rights arise only with businesses, while other rights arise in both business-consumer and consumer-consumer situations. The type of seller may also factor into the consumer’s response. For example, department stores are often easier for consumers to deal with than smaller retail businesses. Many department stores have policies of accepting the return of goods within a reasonable period of time, regardless of whether or not the goods are defective. Car dealers often have a reputation of being harder to deal with. Consumer Protection BC may be able to help resolve complaints if it involves one of these businesses: debt collection and bailiffs, travel, cemetery and funeral services, payday lending, home inspections, telemarketers, motion pictures, credit reporting, consumer contracts, and gift cards. Consider the type of product sold, as it may not be practical to seek a remedy at all. The product’s value is of particular relevance. How serious is the product’s defect? It may be wise, and practical, for a consumer to ignore relatively minor defects, while more serious ones may justify taking the time to seek a remedy in court. In almost any consumer situation, it is important to assess the reality of recovery. If a seller is likely to be unresponsive to a complaint, then the consumer needs to assess the prospect of taking court action. If a seller is an individual from whom it may be difficult to collect even if the consumer obtains a court judgment, it may be wiser to do nothing rather than face continuing frustration without any tangible result. There are various useful texts on this topic, including Sale of Goods in Canada by G.H.L. Fridman and The Sale of Goods by P.S. Atiyah (note: the latter is based on English law, which differs somewhat from BC law). These texts are a starting point for finding cases that interpret sections of the Sale of Goods Act. Online resources for finding other cases include the CanLII website and the LexisNexis Quicklaw pay service (available in Courthouse Libraries across the province). Some business organizations oversee certain industries. Consumer Protection BC offers a Consumer Referral Directory that lists agencies to help with particular problems. The Better Business Bureau may be able to help resolve disputes with businesses that are listed with them. Also see People’s Law School’s pages on making a purchase. This page was last edited on 11 October 2018, at 06:02.